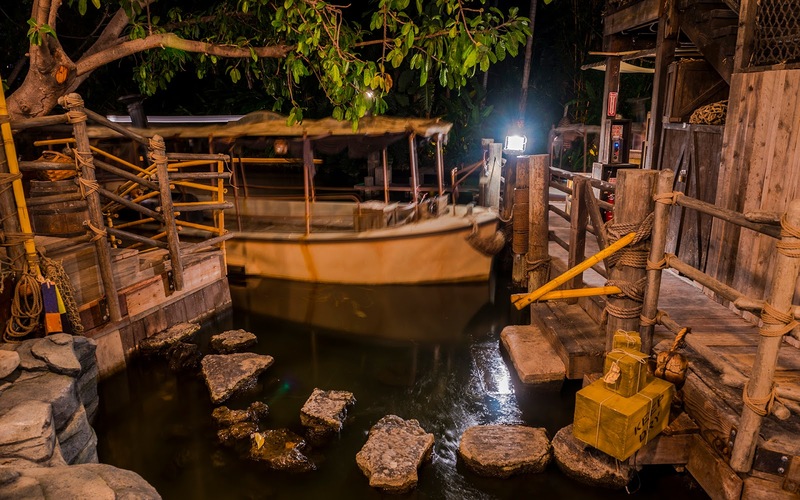 Last Friday, after many months of anticipation and renovations, the Tropical Hideaway officially opened to the public. 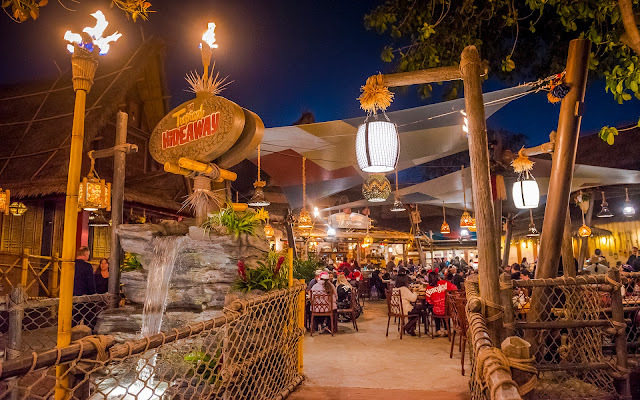 Located between the backside of the Enchanted Tiki Room and the exit of the Jungle Cruise, this new watering hole provides a fantastic place to relax and enjoy some Dole Whip, eat a bao or two, and just take in the jungle. 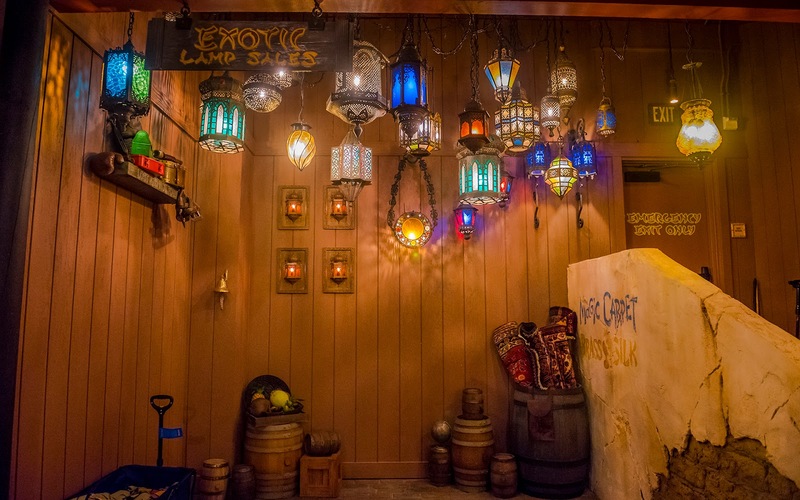 Once upon a time, this space was Aladdin's Oasis. And before that, it was the Tahitian Terrace. 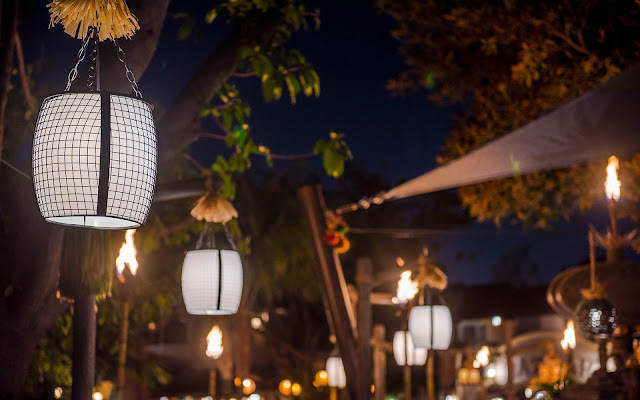 But it's been largely unused for the past decade or so, and with an expected wave of guests coming next year when Star Wars: Galaxy's Edge opens, Disneyland can use every inch of capacity it can get! 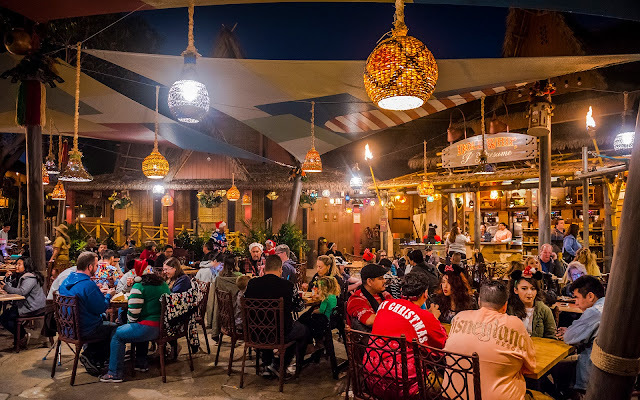 The new space ties the Tiki Room and jungle together and even leaves a few nods to its former Aladdin-based residence. 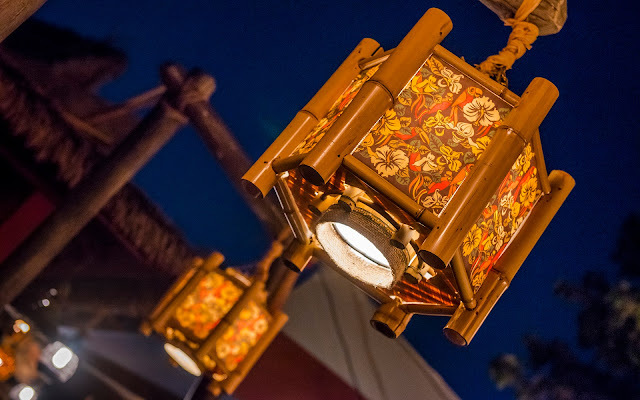 It's beautifully designed, with exotic fixtures, a lovely tent canopy overhead, and a great snack menu. All in all, Disney has done a fantastic job with this little addition to Adventureland. With the improvements of shifting Tropical Imports across the street, removing the stroller bottlenecks, expanding indoor seating for the Bengal BBQ, and improving the same Bengal BBQ's menu, Adventureland has been spruced up quite nicely! Meanwhile, here are a few snapshots from the Tropical Hideaway, providing a tasting of the offerings and ambiance! 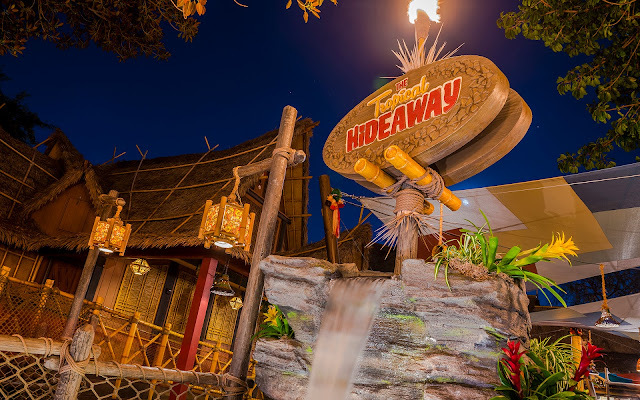 The entrance to the new Tropical Hideaway takes guests over a stream. Two adjacent bridges allow passage over the water. Between them, a lovely waterfall and signage. 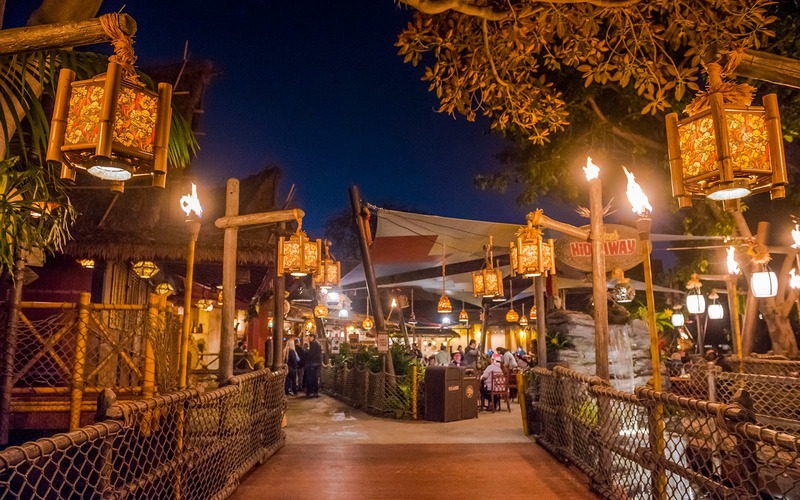 The back of the Enchanted Tiki Room is seen to the left. 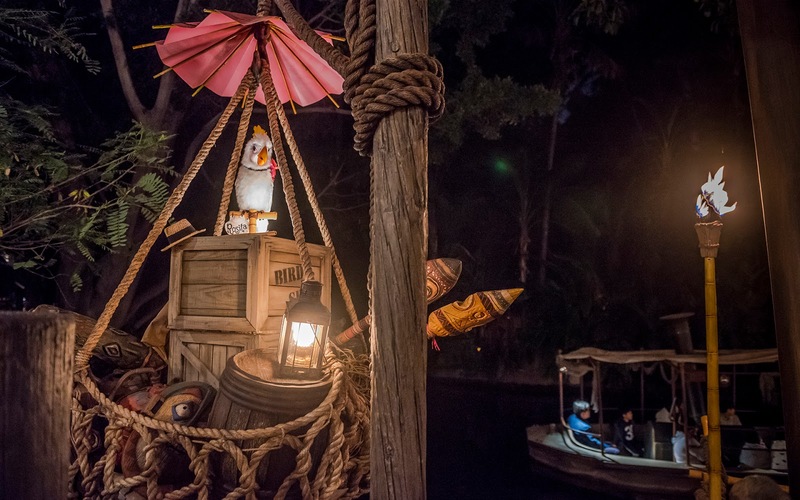 The Jungle Cruise is to the right. 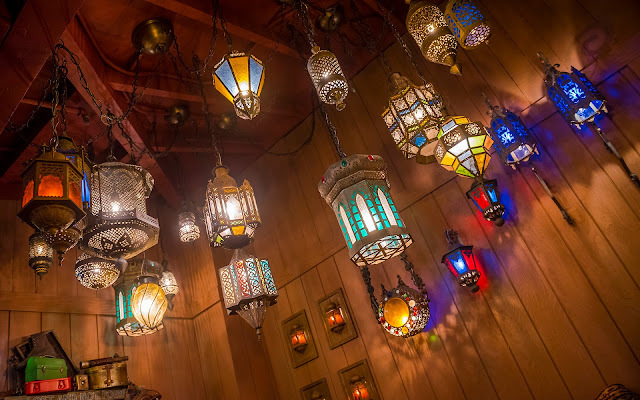 These beautiful hanging lamps are from the previous Aladdin's Oasis meet-and-greet. 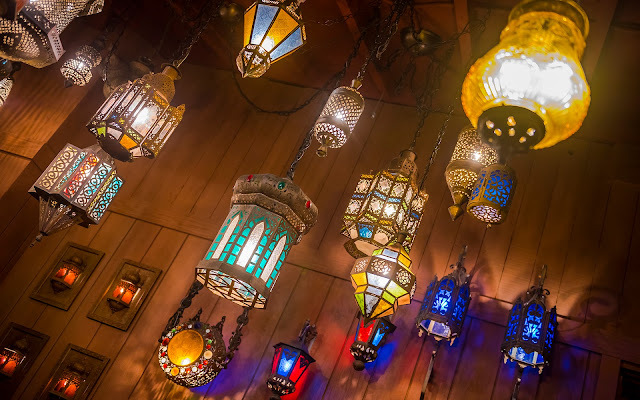 They reminded me a bit of my recent vacation to Morocco. Not as dense as actual Moroccan lamp displays, but still nice! Dole Whip, I Presume? 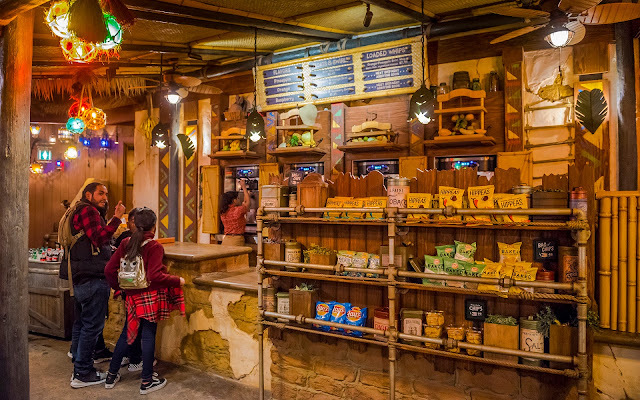 is the Dole Whip stand, with new flavors and different iterations of Dole Whip dishes. 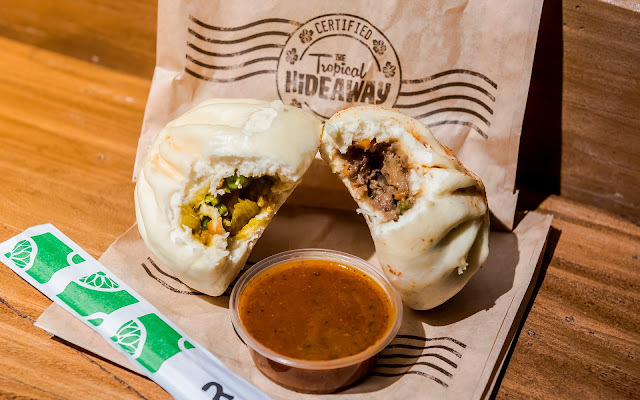 Right after is a bao stand. 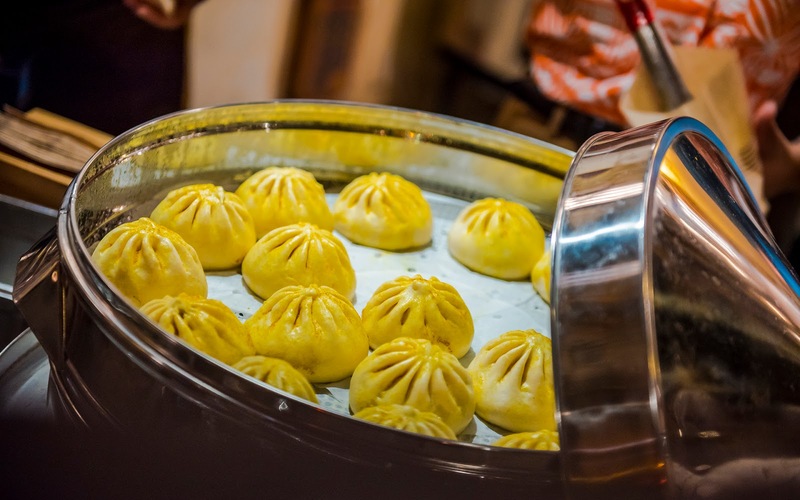 There is a vegetable bao and beef bao, pictured here, plus a chicken bao. The spicy sauce is an extra $0.59 but very tasty, and it does have a bit of a kick! The Loaded Whip is a tropical fruit paradise. 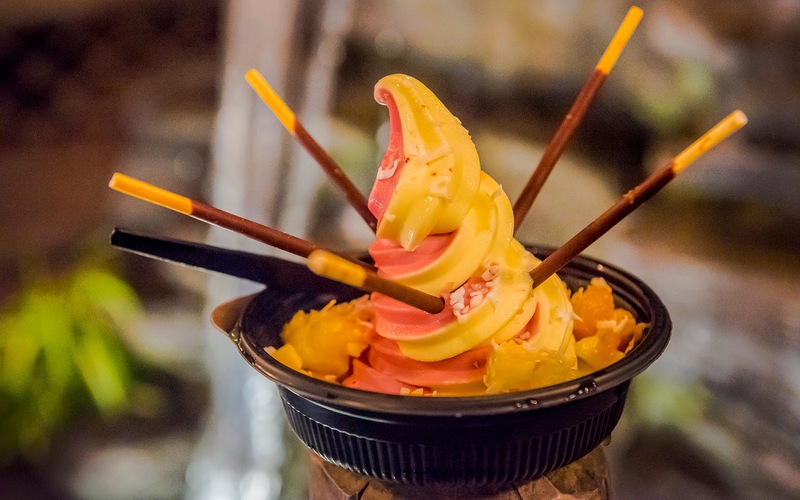 Pineapple and raspberry Dole Whip soft serve here, plus mango, pineapple, tangerines, lychee, crystalized hibiscus, and some Pocky sticks. Absolutely delicious, and not bad at $7.99. 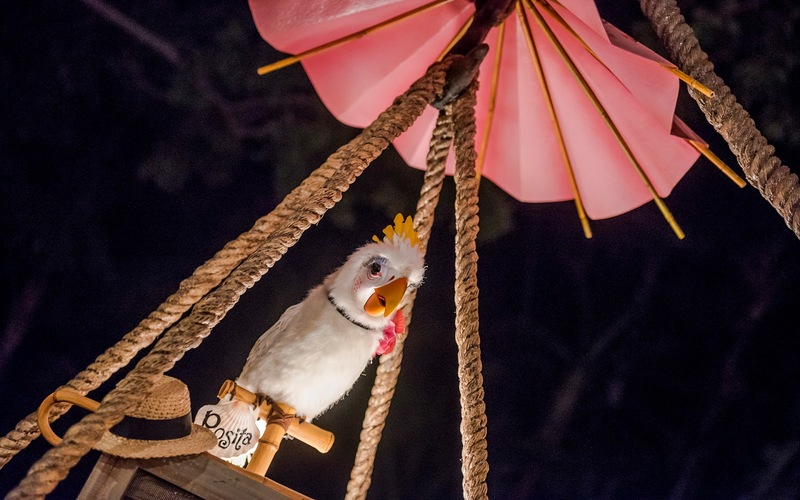 Rosita has also relocated here from the Tiki Room. She's branched out on her own stand up career. 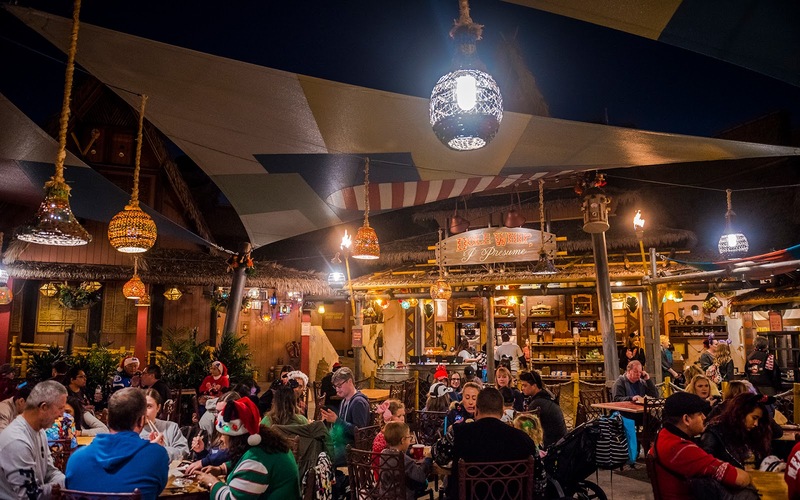 Here's an overview of the dining area from last Friday evening. There's a fair amount of seating. The details are pretty exquisite. 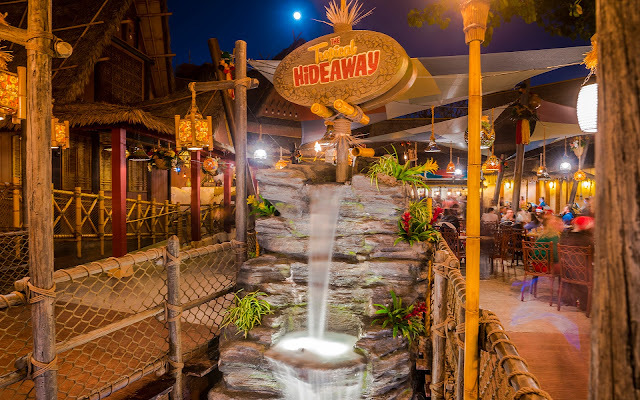 And the whole Tropical Hideaway is gorgeous!